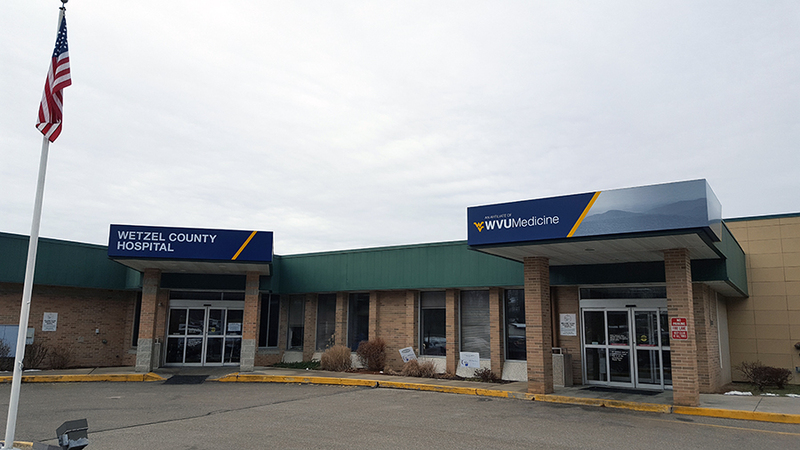 MORGANTOWN, W.Va. – Wetzel County Hospital in New Martinsville has entered into a management agreement with WVU Hospitals effective Oct. 1. It has been a clinical affiliate of the West Virginia University Health System since 2016. Established in 1920, Wetzel County Hospital is a 58-bed facility that employs 235 people. It offers a variety of inpatient and outpatient services, including cardiopulmonary, emergency, general surgery, radiology, and cardiac rehabilitation, physical, occupational, and speech therapy. Under the terms of the management agreement, David Hess, M.D., president and CEO of WVU Medicine Reynolds Memorial Hospital, will also become CEO of Wetzel County Hospital. Brian Felici, the current CEO of Wetzel County Hospital, will become a northern region consultant to WVU Hospitals.